Planning to Attend the Independent Owner Leadership Conference? If you haven’t yet registered for this year’s IO Leadership Conference, don’t wait. Your last chance to register online is Tuesday. Don’t miss the exciting learning and networking events we have planned for you in beautiful, sunny Tampa, FL. Earn up to 12.75 CEs while getting invaluable guidance on hot topics like PDPM, workforce stability, long term care provider owned health plans, and more. Find out the details and register at IO.ahcancal.org. Special savings for first-time attendees and multiple attendees from the same facility. PDPM and the Requirements of Participation are on Your Mind. We’ve Got You Covered. Summit faculty includes national subject matter experts who understand the professional development needs of practitioners along the long term care continuum. Advance registration ends March 5, so don’t wait and get registered today! AHCA/NCAL Insurance Solutions offers a minimum essential coverage (MEC) health plan to members. The plan was developed by Compass Total Benefit Solutions and offers two affordable options for providing many of the health insurance benefits that are important to long term care employees. This short video explains the MEC plan for AHCA/NCAL members in less than two minutes and highlights the features that make the MEC plan so popular with LTC employers and employees. The plan is designed to help AHCA/NCAL members recruit and retain frontline staff who cannot afford major medical health plan premiums or high deductibles. Employers determine their level of contribution for plan expenses for coverage for employees, their spouses, their children or family coverage. There is no additional underwriting for the Compass plan and no mandatory wait periods for new employees to join the Compass MEC plans. Any wait periods are determined by the employer. There is a minimum of five employees that must be enrolled to offer the plan to employees. Read this Q&A document for more information about Compass plans for AHCA/NCAL members. Versions of the Compass Plan are available in all 50 states. Hospital indemnity benefits vary based on state approvals, which is why some states have different hospital indemnity benefit levels. For more information, please contact Nick Cianci at 202-898-2841 or Dave Kyllo at 202-898-6312, visit www.ahcabenefits.org or www.ncalbenefits.org or email ahcainsurancesolutions@ahca.org. March 3 – 9 is Careers in Aging Week and the perfect time to get acquainted with a powerful national resource for job seekers and employers called the AHCA/NCAL Long Term Care Career Center. The LTC Career Center is designed to help AHCA/NCAL members be competitive in attracting qualified candidates to fill their health care positions. Job postings receive far greater exposure than local ads and job boards because the LTC Career Center connects to a national network of nearly 300 national and state health care organizations and societies where serious candidates look for health care jobs. Employers are also able to post vacancies as they occur and search resumes on the network. Rates for posting job vacancies are affordable at $350 for a 30-day job posting. Employers who utilize the site also receive complimentary additional exposure through rotating new job listings on AHCA’s home page – the web site where long term care professionals go for news and information. In addition, employers who post vacancies through the center receive free bonus rotating listings on the Long Term Care Career Center home page. Of course, the LTC Career Center is always free for job seekers and the LTC Career Center features many of the best positions the long term care profession has to offer. Job seekers are using the site with more than 65,000 searchable resumes on the National Healthcare Career Network this month. Our LTC Career Center contains a Career Learning Center that includes professional resources for creating powerful resumes and acing job interviews. Join the high profile employers that use AHCA/NCAL’s premier member resource to find top talent. Check out the LTC Career Center or call Robin at 866-964-2765 x2736 for more information about posting job vacancies on the LTC Career Center and other discounted job listing packages. A new Capacity-Building Toolkit for Including Aging and Disability Networks in Emergency Planning is now available from the National Association of County & City Health Officials and the Association of State and Territorial Health Officials, in partnership with the Office of the Assistant Secretary for Preparedness and Response and the Administration for Community Living. Organizations that are new to emergency planning can use this toolkit as an orientation to emergency planning. Those with established emergency preparedness programs can use it as a resource to enhance their capabilities. AHCA members who have questions relating to emergency preparedness please contact AHCA’s Erin Prendergast for SNF focuses and AHCA’s Dana Halvorson for ICF/IID related questions. Trust for America's Health has tracked public health emergency preparedness in the United States since 2003 and documented the nation’s level of preparedness as well as those areas still in need of improvement. This 2019 report finds that states have made progress in key areas, including public health funding and participation in provider compacts and coalitions, with a majority of states making preparations to expand capabilities in an emergency, often through collaboration. Emergencies start at the local level and many of the events our providers have experienced in the last couple of years needed to have coordination with local and state officials. The report examines the country’s level of public health emergency preparedness on a state-by-state basis using 10 priority indicators. It also outlines major public health incidents, actions, research findings, meetings, and federal hearings across three domains: disease outbreaks; severe weather and natural disasters; and biological, chemical, radiological, and nuclear terrorism. Trust for America’s Health (TFAH) is a nonprofit, nonpartisan public health policy, research, and advocacy organization that promotes optimal health for every person and community and makes the prevention of illness and injury a national priority. AHCA/NCAL members who have questions relating to emergency preparedness please contact Erin Prendergast for SNF and AL focuses and Dana Halvorson for ICF/IID related questions. The 2019 National Skilled Nursing Care Week (NSNCW) Planning Guide and Product Catalog is now available online here. Start planning now! Browse through the guide to get ideas about NSNCW events and activities and check out the great selection of Live Soulfully themed products available this year. Promotional graphics and the new guide are available now for download at ahcancal.org/NSNCW. Additional tools including a proclamation and template press release will be available in early April. Use social media to share your great ideas for NSNCW and to see what other centers are planning for this special week. Use the hashtag #NSNCW and like us on the NSNCW Facebook page here. We look forward to NSNCW and celebrating the work you do every day. The assisted living independent owner session at the IO Leadership Conference will strategically focus on assisted living challenges and critically important issues related to your operations, specifically cyber security and risk management. Register today for this important conference. Join your peers from around the country, hear from expert speakers, learn from the trials and tribulations of others, and walk away with fresh ideas and strategies that you can put to use immediately. The AL session takes place Thursday, March 21 at the Marriott Tampa Waterside in Tampa, Florida, and focuses on two important areas. The first part will feature security expert Vince Crisler, CEO and co-founder of Dark Cubed, who will provide an overview of the current cyber security threat environment for assisted living. He will also explain why it is necessary to rethink the approach to protecting customer data, networks, and other sensitive information. The second part of the session will provide guidance on a particularly difficult challenge for IOs – risk management to avoid litigation exposure. Many independent owners do not have an attorney on staff or on retainer. Leading expert Karen Goldsmith will help you navigate liability issues that directly impact your business. The assisted living world is continuously changing and evolving. With differing payment models, workforce challenges, litigation issues, and the increasing demands of baby boomers, finding your way as an independent owner can be challenging. Don't go it alone. Register today. The advance registration deadline is March 5. Special savings for first-time attendees and those attending from the same facility. Get all the details at IO.ahcancal.org. With thousands of codes and changes based on the new Patient Driven Payment Model (PDPM), accurate ICD-10 coding is critical. PDPM relies on accurate patient assessments and diagnosis on the MDS and IDC-10 coding to determine payment for each patient. Inaccurate coding can impact your organization’s bottom line and resident care. With so much to do before the October 1 implementation deadline, training key staff just got easier! The American Health Care Association (AHCA) and the American Health Information Management Association (AHIMA) is now offering ICD-10 on-line training. Because staff needs defer based on the responsibilities of coding, two specific trainings have been developed: ICD-10 for Coders and IDC-10 for Non-Coders. ** Now accepting pre-sales. Program launches in mid-March. The Research team at AHCA/NCAL has been working on a research project to describe the relationship between the proportion of Medicaid beneficiaries in a nursing home and the quality of care, adjusted for facility characteristics. AHCA/NCAL looked at a national sample (n=13,625) of non-hospital based skilled nursing facilities with 25 beds or more who were Medicaid and Medicare certified between November 28, 2015 to November 28, 2017, that are still actively providing care. The primary independent variable was the proportion of Medicaid beneficiaries, defined as the census of Medicaid beneficiaries over the total resident count at the time of the annual recertification inspection. AHCA/NCAL compared the difference in average percentage of Medicaid beneficiaries by facility bed size, ownership status, location, and chain membership and the overall and each component of Five-Star rating. The team controlled for facility characteristics using logistic regression to estimate the effect of increasing Medicaid prevalence on the odds of achieving average or above average Five-Star ratings (i.e. greater than or equal to 3 stars). The study showed that, on average, for-profit facilities took care of a significantly higher percentage of Medicaid beneficiaries as compared to not-for-profit (62.5% vs. 48.2%) as did rural facilities compared to urban facilities (63.5% vs. 57.8%). Similarly, larger facilities with more than 120 beds had more Medicaid beneficiaries than smaller facilities with fewer than 50 beds (64.5% vs. 45.9%). Moreover, in this study, AHCA/NCAL found that Medicaid census and quality are inversely related. More specifically, for facilities with a higher Medicaid beneficiary population, the team observed poorer quality, as compared to facilities with a lower Medicaid beneficiary population. This relationship held even when the team adjusted for facility characteristics. These preliminary findings were accepted for presentation at the 2019 National Health Policy Conference in Washington, D.C. and were presented by Marsida Domi, AHCA/NCAL’s Senior Research Analyst, on February 05, 2019. The team is currently working on expanding the study to understand the mechanisms of action in the relationship between Medicaid and quality. Join quality practitioners from around the country at the 2019 AHCA/NCAL Quality Summit. Opening keynote speaker Chris Field, author of Disrupting for Good: Using Passion and Persistence to Create Lasting Change, shares a memorable and motivational message featuring inspirational stories from his book on how passion + persistence = lasting change. From running for mayor as a teenager to breaking multiple Guinness World Records to helping save over a hundred children from slavery, Chris has been disrupting most of his life. Seamlessly weaving his own story with those of other ordinary people who became extraordinary disruptors, Chris offers a clear call to action: anybody, anywhere, can choose to disrupt for good. 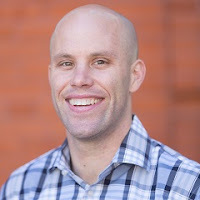 Chris will end by walking you through his personal Disruption MAP so that you leave both prepared and inspired to disrupt for good in your own job, non-profit, school, neighborhood, and family. Don’t miss the opportunity to stay at the host hotel and save with AHCA/NCAL discounted rates. The hotel reservation deadline for the Quality Summit is today! You may register for the Quality Summit through March 5. You must be registered for the event before hotel reservations can be made. The deadline is less than two weeks away! 2019 promises continuous challenges and changes, including the new Patient-Driven Payment Model (PDPM). Don’t go it alone. Get ideas and insight from experts in the field, get your questions asked and answered, and get inspired at this year’s IO Leadership Conference. Earn up to 12.75 CEs. Network with your colleagues. Take in the sun and the warmth of beautiful Tampa, FL. Learn more, see the complete agenda, and register at IO.ahcancal.org. Receive special savings for first-time attendees and multiple attendees from the same facility. Advance registration deadline is March 5. Phase III Requirements of Participation (ROP) take effect November 28, 2019 and mandate that every nursing facility have a designated and specially trained Infection Preventionist who is running a comprehensive infection prevention and control program. AHCA’s Infection Preventionist Specialized Training (IPCO) program is specifically designed to prepare individuals to effectively implement and manage an Infection Prevention & Control program in nursing facilities. AHCA’s course is an online, self-study program with 23 hours of training that meets the educational requirements outlined by CMS. It includes online lectures, case studies and interactive components taught by subject matter experts who have real life experience working in long term/post-acute care. It addresses both clinical and organizational systems, processes and cultural aspects of infection prevention and control which are fundamental to effectively leading and administering a center’s Infection Prevention & Control program. Another reason for nursing facility staff to take the course now is to reduce the risk of receiving the most frequently cited F-Tag in standard nursing facility health inspection surveys under the new survey process is F880 – Infection Prevention & Control. Since November 2017 when the new infection prevention and control mandates began, more than one-third of surveys conducted across the nation have included a F880 Infection Prevention & Control citation. The primary change coming this November under Phase III ROP is the designation of a specially trained Infection Preventionist who must work at least part-time at the facility. The AHCA training program gets rave reviews with nearly 97 percent of health care professionals who have completed the course recommending IPCO to their colleagues. The registration fee is $450 for AHCA/NCAL members and $650 for non-members. There are no refunds and no transfers. Payment and registration are made online at ahcancalED. The IPCO course can be accessed here or at: https://educate.ahcancal.org/p/ipco. Discounted group purchase rates are available for groups of 25 or more. Those interested in making a group purchase should email AHCA at educate@ahca.org. While CMS has announced plans to offer a free infection prevention training course some time in Spring 2019, no specific date has been announced yet. AHCA/NCAL recommends investing in staff training now rather than waiting to train staff on the requirements that already are in effect. Facilities will continue to be surveyed on all the new infection prevention and control requirements and the antibiotic stewardship requirements. The winter edition of HealthCap’s quarterly Risk Watch newsletter is chock-full of sound advice for mitigating risks in nursing facility and assisted living settings. The winter issue explores facility audit practices, the link between CMS-5 Star ratings and risk, and the impact of ANCC Board certification on gerontological nursing outcomes. HealthCap is endorsed by AHCA/NCAL and is the premier program solely dedicated to providing liability insurance to senior care communities. One of the reasons HealthCap gets such great results is its focus on quality care as the foundation of good risk management practices. HealthCap clients have the fewest liability claims in the industry and HealthCap settles claims for approximately one-half the industry average. 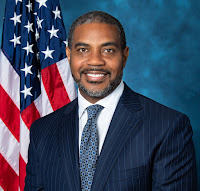 Congressman Horsford to Speak at AHCA/NCAL’s ID/DD Hill Fly-in Event Next Month! AHCA/NCAL’s Intellectual and Developmental Disabilities (ID/DD) Residential Services Providers will be in Washington, D.C., for AHCA/NCAL’s annual Hill Fly-In event on Wednesday, March 6, 2019. Participants will hear from Congressional speakers and others, including Congressman Steven Horsford of Nevada. The event runs from 8 am – 10:15 am ET. After the morning event is over, the ID/DD providers will head to Capitol Hill to discuss critical issues, including Medicaid. If you have any questions relating to this event or would like to attend (it is free to attend, and breakfast and lunch are provided), please don’t hesitate to contact AHCA’s Senior Director of Not for Profit & Constituent Services, Dana Halvorson. AHCA/NCAL is focused on our mission to improve lives by delivering solutions for quality care, and LTC Trend Tracker is one of those solutions. If you aren't using LTC Trend Tracker, we would like to know why so we can help you utilize this great member benefit. If you are a using LTC Trend Tracker, we want to hear more about your experience. Please take this short, online survey by Sunday, February 24. It should take less than 10 minutes to complete. To learn more about this exclusive member benefit, please visit www.LTCTrendTracker.com. NCAL is teaming up, once again, with the American Seniors Housing Association (ASHA), National Investment Center for Seniors Housing & Care (NIC), LeadingAge, and Argentum to issue The State of Seniors Housing, a report on the financial performance data for seniors housing communities. We need your participation in order to provide a representative picture of the industry. Please download the 2019 State of Seniors Housing Survey (Excel format) and submit completed surveys to colleen.blumenthal@healthtrust.com by close of business Monday, March 18, 2019. Questions about the survey should be directed to Colleen Blumenthal of HealthTrust, LLC at (941) 363-7502 or at her email address noted above. For owners or managers of multiple properties, please submit data for as many of your properties as is practical. The report will adjust overall results so large portfolios are neither over-represented nor under-represented. The quality of our industry’s data relates directly to the size and composition of this sample. For the last few years, the State of Seniors Housing has collected data from 1,500 to 2,200 properties annually. If you contributed data for a given property last year, it is particularly important that we obtain information about that property this year also, so that “same-store” industry trends in revenues, costs, and census can be analyzed. Please do not complete surveys for properties where rates are subsidized, such as Sec. 202 elderly housing. All organizations that complete surveys will receive a complimentary copy of The State of Seniors Housing 2019, which compiles the survey results for comparisons to your own operations. As always, the State of Seniors Housing data will be handled with complete confidentiality and the results presented only in the aggregate. Thank you, in advance, for your participation in this important annual research study. The 2018 State of Seniors Housing publications can be purchased through the AHCA/NCAL Bookstore. People are living longer, and populations are aging worldwide. The demand for professionals with expertise in long term care is growing rapidly. The U.S. will need between 5.7 million and 6.5 million nurses, nurse aides, home health, and personal care workers to care for the 27 million Americans who will require long term care by 2050. Careers in Aging Week (CIAW), created by the Gerontological Society of America (GSA), is dedicated to bringing greater awareness and visibility to the wide-ranging career opportunities in long term care. During the first full week of March, CIAW is observed annually by businesses, clinics, coalitions, organizations, universities, colleges, and other parties across the world. Participate on social media. Share how you’re celebrating and showcasing careers in aging on social media using the hashtag #CareersInAging19. Share your selfie! Snap a photo of your office, your facility, your clinic, your business, or your classroom. Describe your career in aging using #CareersInAging19. During CIAW, AHCA/NCAL will share resources, graphics, and more on social media. Spread the word by retweeting us on Twitter or sharing our posts on Facebook. Watch “The Information and Tools You Need to Promote Careers in Aging” video. This video, created in partnership with AHCA/NCAL, Argentum, LeadingAge, and GSA, shares a variety of ideas on how to participate. Watch it here. Celebrate your staff. Host a party to celebrate/thank your staff members, and invite families of staff, residents and their family members. Recognize your staff for accomplishments, like tenure or outstanding customer service. Open your doors to the community. Host a facility tour for local students, parents and teachers to showcase the day to day operations as a long term care professional. Visit your local schools and talk about careers in aging. Informing the next generation about the opportunities in this profession is critical to meet future workforce needs. Participate in job or educational fairs. The overall goal of these events should be to spark the interest of students and give them a sense of what a career in long term care is all about. Plan a community celebration. Community events can be organized by local businesses, Chambers of Commerce, economic development groups and more. Talk to your community partners about how to best organize a celebration. Visit www.careersinaging.com for more resources and information on how to get involved. The Centers for Medicare and Medicaid Services (CMS) recently issued a MLN Matters Article titled “Implementation of the Skilled Nursing Facility (SNF) Patient Driven Payment Model (PDPM)”. The article summarizes specific instructions CMS has issued to its Medicare Administrative Contractors (MACs) via Change Request CR 11152 to effectuate changes to the SNF Prospective Payment System (PPS) that are required for the PDPM. These changes were finalized in the FY 2019 SNF PPS Final Rule (83 FR 39162). SNFs billing on Type of Bill (TOB) 21X and hospital swing bed providers billing on TOB 18X, (subject to SNF PPS) will be subject to these requirements. The Effective and Implementation Date are both listed as October 1, 2019. Make sure your billing staff is aware of these changes. Currently under the SNF PPS, revenue code 0022 indicates that the claim is being paid under the SNF PPS. This revenue code can appear on a claim as often as necessary to indicate different Health Insurance Prospective Payment System (HIPPS) Rate Code(s) and assessment periods. The HCPCS/Rates field must contain a 5-digit “HIPPS Code”. Currently, the first three positions of the code contain the Resource Utilization Group (RUG) group, and the last two positions of the code contain a 2-digit assessment indicator (AI) code. The first position represents the Physical and Occupational Therapy case-mix group. The second position represents the Speech-Language Pathology case-mix group. The third character represents the nursing case-mix group. The fourth character represents the Non-Therapy Ancillary case-mix group. The fifth character represents the AI code. This also affects the number of potentially valid HIPPS codes under PDPM, as compared to RUG-IV. The PPS assessment schedule under PDPM is also significantly different from that used under the current case-mix classification system, the RUG Version IV (RUG-IV) model. The only required assessments under PDPM that would produce a HIPPS code would be the 5-day PPS assessment, which follows the same schedule as under the current SNF PPS, and an Interim Payment Assessment (IPA), which may be completed at any point during a PPS stay. Additionally, under PDPM, SNF PPS payments will be reduced according to a prescribed schedule, referred to as the variable per diem adjustment. Under the current SNF PPS, all days within any given RUG during a covered stay are paid at the same per diem rate. Under PDPM, however, the per diem rate for a given day of the SNF PPS stay may be different from the prior day, depending on an adjustment factor that may be applied against the SNF PPS rate connected with the HIPPS code. Moreover, the variable per diem schedule applies only to the Physical Therapy (PT), Occupational Therapy (OT), and Non-Therapy Ancillary (NTA) components of the per diem rate, with different schedules for the PT/OT components than for the NTA component. More details on this may be found in Table 30 of the FY 2019 SNF PPS Final Rule (83 FR 39228). A similar adjustment exists under the Inpatient Psychiatric Facility (IPF) PPS. PDPM also includes an interrupted stay policy, similar to that which exists in the Inpatient Rehabilitation Facility (IRF) PPS and the Inpatient PPS (IPPS). Specifically, if a patient in a covered Part A SNF stay is discharged from the SNF but returns to the same SNF no more than three consecutive calendar days after having been discharged, then this would be considered a continuation of the same SNF stay. In such cases, no new patient assessments are required and the variable per diem adjustment is not reset. If the patient returns to the same SNF after the 3-day window, or returns to a different SNF, then this would be considered a new PPS stay. The interrupted stay would be recorded on the claim in the same manner as is done for the IRF PPS and IPPS. As under the current SNF PPS, patients with a “B20” code on the SNF claim, meaning the patient has AIDS/HIV, receive an adjustment factor for their PPS rate. Under PDPM, the adjustment factor is different from that used under the current SNF PPS. Rather than a 128 percent adjustment for the entire PPS per diem rate, the adjustment under PDPM is an increase of 18 percent in the nursing component of the per diem rate and a reclassification under the NTA component to a higher rate category. With regard to transition between the current SNF PPS and PDPM, CMS anticipates that days paid under RUG-IV would stop on September 30, 2019, and days would be paid under PDPM beginning October 1, 2019. All other adjustment factors, such as adjustments for geographic variation in wage costs, remain the same under PDPM as under the current SNF PPS. AHCA offers PDPM preparation resources for all members at the AHCA PDPM Resource Center, and for PDPM Academy Workshop registrants at the AHCA PDPM Academy web page. The proposed agenda for the next Skilled Nursing Facilities/Long-Term Care Open Door Forum scheduled for Thursday, February 14, 2019 from 2pm-3pmET is as follows below. If you wish to participate, dial 1-800-837-1935. Conference ID: 3693669. Please see the full participation announcement in the Downloads section. Thank you for your continued interest in the CMS Open Door Forums. Don’t miss the opportunity to stay at the host hotel and save with AHCA/NCAL discounted rates. The hotel reservation deadline for the Quality Summit has been extended to February 20. You may register for the Quality Summit through March 5. You must be registered for the event before hotel reservations can be made. What does disruption and innovation in the context of long term care mean? 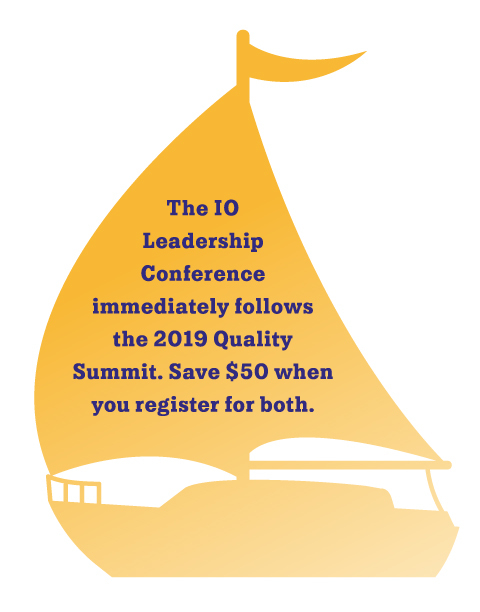 Join your peers, experts and others at the Quality Summit to generate strategies to begin, extend or sustain your quality program and improve clinical outcomes. Summit faculty includes national subject matter experts who understand the professional development needs of practitioners along the long term care continuum. The Summit has education sessions ideal for skilled nursing, post-acute care and assisted living providers. Don’t get left behind. Register now to join quality-focused providers from around the country for a Summit packed with content and tools for success. Cleary Energy is a AHCA/NCAL preferred provider and has recouped on average 4% to 8% savings on utilities for long term care facility customers. That’s a significant savings! William Shakespeare said “if music be the food of love, play on…” Members can deliver the magic of music in their communities through the music offered by Mood Media at AHCA/NCAL “Member Only” discounted rates. The Office of Medicare Hearings and Appeals (OMHA) has published a revised chapter of the OMHA Case Processing Manual (OCPM). The revised chapter is Chapter 9: Request and Correspondence Intake, Docketing, and Assignment. The changes went into effect February 1, 2019. The manual standardizes the day-to-day procedures for carrying out adjudicative functions, in accordance with applicable statutes, regulations, and OMHA directives, and gives OMHA staff direction for processing appeals at the OMHA level of adjudication. As part of an ongoing effort to make the manual more user friendly and reflect recent regulatory changes, OMHA is in the process of drafting new OCPM chapters and revising existing chapters under a new format. Now is the time to register and save! We have extended the hotel deadline to February 20, and the early registration deadline is March 5. Be sure to register so you don’t miss out on all the essential education, networking, and learning opportunities offered at this year’s Independent Owner (IO) Leadership Conference. You can earn up to 12.75 CEs. In addition, the Owner-to-Owner Town Hall discussion will tackle emerging trends as well as litigation, records requests, and risk management. You can also enjoy time with your IO peers in a more casual atmosphere when you take part in one of the social networking events taking place. Choose from a golf outing, paddle board or kayaking tour, or a unique Mixology class. Get all the details and see the complete agenda at IO.AHCANCAL.org. AHCA/NCAL is dedicated to improving lives by delivering solutions for quality care. Each year, the Association establishes goals to help achieve this mission, and 2018 was very successful. We continued to grow as an association, remained a powerful policy and political voice in Washington, addressed important issues such as workforce, and advanced quality care. This year’s annual report also features a short video that highlights the work done in 2018 and our success. We appreciate our members and everything they do to continue delivering the highest quality care for millions of patients and residents. The Federal Trade Commission is getting reports about people pretending to be from the Social Security Administration (SSA) who are trying to get individuals' Social Security number and even their money. ACL also recommends that if you or a resident is worried about a call from someone who claims to be from the Social Security Administration, get off the phone. Then call the real SSA at 1-800-772-1213. On February 5, the Centers for Medicare and Medicaid Services (CMS) posted on their MDS 3.0 Technical Information Webpage a new draft version (V3.00.0) of the MDS 3.0 Data Specifications. This version is scheduled to become effective October 1, 2019. These specifications are used for software developers and vendors to update SNF PPS grouper, MDS, electronic health record, and billing systems to align with annual updates to the MDS-RAI (yet to be issued) and SNF PPS billing requirements. Note that there are many significant changes, to align with the transition to the new Skilled Nursing Facility Prospective Payment System (SNF PPS) from the Resource Utilization Groups, Version 4 (RUG-IV) to the Patient Driven Payment Model (PDPM). These changes include the removal of eight RUG-IV assessment item sets (NS, NSD, NO, NOD, SS, SSD, SO, SOD), the addition of two new PDPM assessment item sets (IPA – Interim Payment Assessment and OSA – Optional State Assessment), and item additions in Sections A, GG, I, J, O and Z. See this link for the draft MDS 3.0 Item Sets v1.17 for October 1, 2019) that were issued on January 3. The MDS draft data specifications also accommodate the utilization of the PDPM grouper (not issued yet) , which also begins on October 1, 2019. Imagine this scenario. A certified nurse assistant (CNA) gives Mrs. Jones a cup of coffee. Mrs. Jones takes one sip, then throws the coffee at the CNA. While this behavior is upsetting, it may not be as mysterious or as difficult to address as one may think. Barbara Speedling, quality of life specialist and presenter at an upcoming AHCA/NCAL webinar on “Toward Better Behavior: Yours, Mine, and Everyone Else’s,” suggests looking at it from Mrs. Jones’ perspective. “If you bring your own coffee to work because you don’t like the facility’s coffee, maybe Mrs. Jones doesn’t either, and this could explain her behavior,” she says. In this case, the solution might be to find a way to get her coffee or other beverages she will enjoy. To understand someone’s behavior, Speedling says, “You have to distinguish whether behaviors qualify as symptom, reaction, or personality.” For instance, if some behavior is part of someone’s personality—such as he or she is judgmental or sarcastic—that isn’t likely to change, and it would be a waste of time to try to change the person. Instead, she suggests, learn ways not to trigger negative behaviors that are related to the person’s personality. The webinar is set for 2:00 PM EST on February 20. Go to https://educate.ahcancal.org/p/190220 to register. AHCA’s course is an online, self-study program with 23 hours of training that meets the educational requirements outlined by CMS. It includes online lectures, case studies and interactive components taught by subject matter experts who have real life experience working in long term/post-acute care. The AHCA program gets rave reviews with nearly 97 percent of health care professionals who have completed the course recommending IPCO to their colleagues. The training course registration fee is $450 for AHCA/NCAL members and $650 for non-members. There are no refunds and no transfers. Payment and registration must be made online in ahcancalED. The IPCO course can be accessed here or at: https://educate.ahcancal.org/p/ipco. Discounted group purchase rates are available for groups of 25 or more. Those interested in making a group purchase should email AHCA at educate@ahca.org. Phase III requirements take effect November 2019 and mandate that every nursing facility have a designated and specially trained Infection Preventionist. AHCA’s IPCO training prepares individuals to take on the Infection Preventionist role and now is the time to train those individuals! AHCA/NCAL members can lower their costs on FedEx Express services. Through the AHCA/NCAL Shipping Program, managed by PartnerShip, members receive exclusive discounts with FedEx, including up to 29%* off select FedEx Express services. There are no fees or minimum shipping requirements, simply great savings and great efficiency. Participation in this exclusive program helps AHCA/NCAL members ship smarter with more convenience. To participate in the AHCA/NCAL Shipping Program and receive these discounts of up to 29%*, simply enroll now or email sales@PartnerShip.com to start saving today. Enrollment is free. Whether sending important documents on tight deadlines or shipping small packages, FedEx Express gets shipments where they need to go, when they need to get there. Your AHCA/NCAL membership gets you the most out of shipping options, and PartnerShip can help lead the way. Here are a few things to know in order to take full advantage of FedEx Express services. Order free shipping supplies - Cut your shipping costs by ordering supplies for your FedEx Express shipments for free through fedex.com. You can order envelopes, boxes, tubes, shipping label pouches—everything you need to make sure your shipment is packaged properly. Take advantage of FedEx One Rate® options - Select FedEx Express services are available with FedEx One Rate. These flat rate options can be very cost-effective for envelopes up to 10 lbs. and boxes or packs up to 50 lbs. FedEx makes it easy to compare pricing and determine whether FedEx One Rate is right for you. Simply enter your shipment information to find out your rate. It’s fast, easy, and convenient. Solutions to ship on your terms - When you need to ship urgent small packages on a tight schedule, FedEx gives you greater control and flexibility. Each location offers different levels of service for what you need to take care of business. Easily search online by zip code to find the service type and location that works best for you. Whether you need a simple self-serve pick up and drop off, or a one-stop shop for printing and packaging assistance, FedEx has you covered. Enroll and start saving - It’s easy to start saving with your AHCA/NCAL “member only” discounts. If you already have a FedEx account, PartnerShip will ensure you’re receiving the best possible pricing and link your discounts to your existing account. All you need to do is enroll. The savings can be substantial with discounts up to 29%*. Start saving today! *Includes a bonus 5% online processing discount. Full details available at PartnerShip.com/85AHCA/FedExdiscounts.